Dogs are welcome at Matfield Station. Bring yours before the creek runs dry. Sunflower season in the Flint Hills. We still have a studio unit with kitchen available for Labor Day weekend. 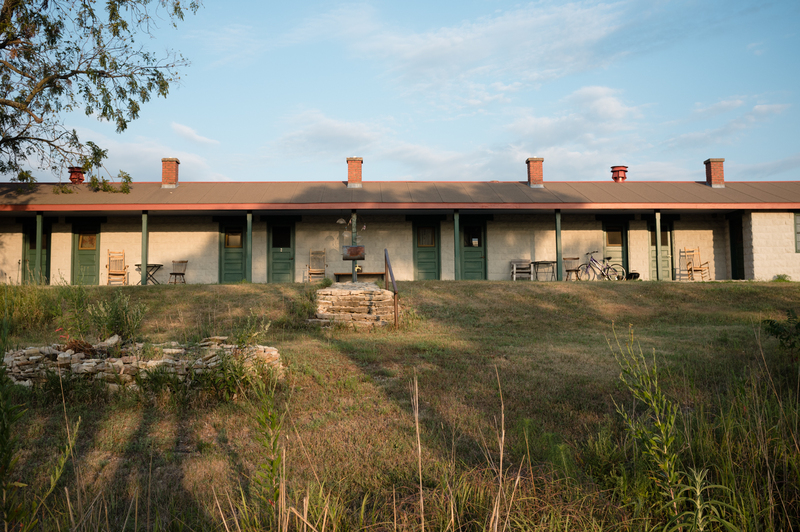 Matfield Station is the perfect jumping off point for a leisurely drive along the Flint Hills Scenic Byway. 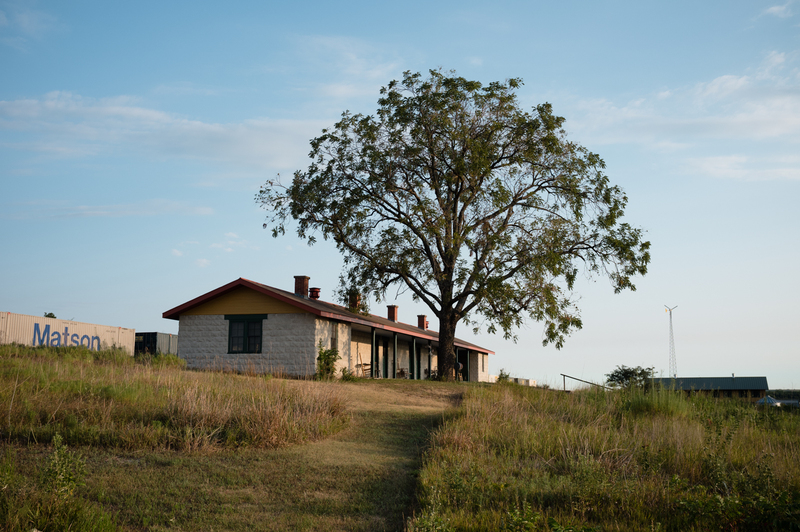 Guests at Matfield Station this weekend will enjoy art openings at The Gallery at Pioneer Bluffs and at our newest institution , The Bank. If you haven’t booked a room, come for the day instead. Learn more. The butterfly milkweed are in full bloom. A great time for a wildflower walk at Matfield Station. Matfield Green is hopping this weekend, and Matfield Station is fully occupied. We’re preparing for a book signing and conversation in the barn Sunday afternoon with author William Least-Heat Moon. Join us for the day if you can. More information at Pioneer Bluffs.